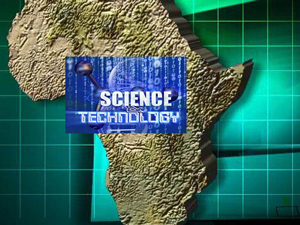 JOHANNESBURG (AP) - A solar backpack that powers a lamp at night and a tablet loaded with a school’s curriculum are two ways that innovative young Africans are putting digital technology to use. With a slick production in Johannesburg’s high-rise financial district, hundreds of digital enthusiasts gathered Wednesday to share what’s new in Africa’s digital landscape. At the Digital Edge conference headlined by American director Spike Lee, speakers enthusiastically described how young Africans are turning to technology to solve existing social problems. In South Africa, two young innovators have designed a backpack that charges by day on the backs of schoolchildren and becomes a lamp by night to help students do their homework, according to Musa Kalenga of Facebook’s Africa operations. Kenyan developers have created a specialized tablet that can be loaded with a school’s curriculum, covering subjects from mathematics to languages and religious studies, using video and animations, according to a video by international advertising agency Young and Rubicam, which has offices in Johannesburg and Nairobi. Known as eLimu, the Swahili word for education, the program is aimed at overwhelmed state schools in the East African country. In Nigeria, Lagos’ gridlocked traffic leads to a loss of 3 billion working hours each year, according to the developers of a carpooling app. Developed in May with 10,000 registered users already, Jekalo—the Yoruba phrase for ‘let’s go’—matches commuters on the same route with willing drivers to form a lift club. The digital age also allows young Africans to define their own culture in an interconnected world, as a skateboarder and break-dancer in Zambia’s capital Lusaka learned. The two founded Street Culture, a digital platform that connects Zambian youths interested in extreme sports, dance and other urban culture to an online community.